As an entity Zu always strive to move forward, aiming towards the very essence of experimental music: innovation. Through the years they have changed multiple forms, and collaborated with a diverse array of artists, including free jazz guru Mats Gustafsson, experimental hip-hop project Dalek and singer of experimental rock outlet Oxbow, Eugene Robinson. Morphing from one sound to the next, changing instrumentations and expanding their visions, has been the primary goal, and the band aims to reach new heights with their upcoming work. A great deal of music is rooted in spirituality. It can come in the form of devotional music, like with the great Nusrat Fateh Ali Kahn, or it can run as an underground stream, as with John Coltrane. 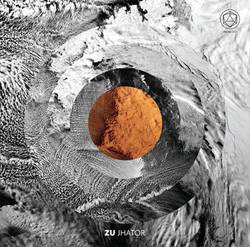 Similarly, Zu is a band that is driven by these mystical themes, especially in their newest record Jhator. The title of the record addresses the Tibetan custom of sky burial, the placement of the dead on mountaintops, where it is exposed to the elements and carnivores. The procession is an act of generosity, one that provides nourishment to living beings, and allows the soul to pass to a different realm. Building surrounding sounds and slowly moving along the procession, Zu condense elements from ambient music to experimental rock, providing a background narrative as well as an impressive outbreak for the final part of the ritual, the moment when the soul parts from the body and travels to a different realm. From the sky burial custom, and the moment of the soul leaving the world, the record moves to ancient Egyptian texts, and more specifically Susan Brind Morrow's book, The Dawning Moon of the Mind, after which the second track is named. The setting moves from the vastness of “A Sky Burial,” to a mystical, surrealistic realm. The instrumentation steals the show, providing rich progression, while the use of effects is also essential in giving that supernatural narrative. Where the first track is a process of transcendentalism, moving from one plane to the next, “The Dawning Moon of the Mind” is the complete severing of the connection to the physical world. The two entities existing in Jhator are more than musical pieces, they are rites of passage, processional in their nature, detailing long forgotten ceremonies. Even when the improvisational self of Zu breaks into the free-jazz frenzy, there is a deep, spiritual element at play, a feeling of ecstasy. There is simply so much emotion in Jhator, so much scope, rich textures and movement, that the resulting body of work forces a break with reality, diving into this trance-like state, with Zu producing a record that transcends normality. Posted April 17, 2017, 5:47 p.m.